Hello, my name is Bjørn Johan Kirksæther. I am living in Trondheim - Norway. 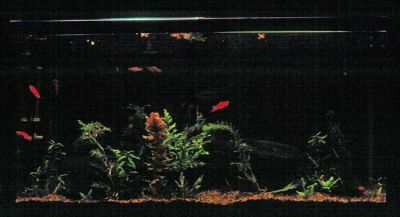 I was starting with aquarium i 1966 and had a break from 1997 to 2006. In the picture you see my aquarium in my room in 1967, when I have only livebearering species. Now I am back again and working for the moment mostly with wild species of Discus, tetra, scalars, labyrinth fishes and some dwarf cichlids. But I will extend my interest for more spices of aquarium fishes. This is so interesting hobby; I feel always the same interest to day for a spice like I was doing in 1966. Sometime more because it is always new experience with species and some time it is very much nostalgic feeling with some of the speices like discus and scalar, but also tetra, barbs, labyrinth and cichlids. Sometime I had to look into speices I known very good in my early days and then the old glory of the feelings for the speices is back again. The site is still under construction and many pages is still emty. I working with the site almost every day, so I hope to be finish soon! Today, there have been 35157 visitors (90860 hits) on this page!